This summer sees the opening of the world’s tallest water coaster at Schlitterbahn Galveston Waterpark. Featuring transparent sections that give guests sudden and unexpected views of the park below, MASSIV is the latest addition to the company’s collection of record-breaking rides. 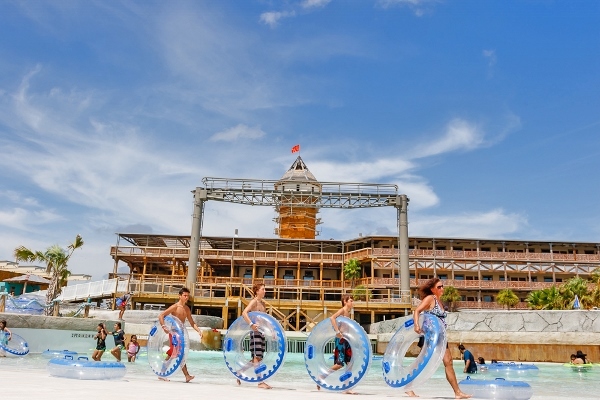 Blooloop spoke with Gary Henry, Schlitterbahn Waterparks and Resorts’ President and CEO, about the new attraction and the company’s origins and aspirations. And, why he believes waterparks are maturing into a more ‘family-friendly model’. The company was founded by Henry’s parents, Billye and Bob Henry, who decided to move their family to the country in 1966 with the idea of buying a campsite. The land Bob first identified was north of Houston, and very remote. “I think his vision was a place that families sent their children during the summer for a children’s vacation, ” says Henry. Henry’s mother, reluctant to be thirty miles from the nearest town, found another property at New Braunfels, between San Antonio and Austin. The site was fifteen acres, with 32 rental units on it. Having studied engineering at the University of Texas, Henry went on to business school, did a further degree in accounting, and went to work for Parker Anderson and Company as an accountant for a year. Deciding he no longer wanted to live in a big city, Henry left Houston and moved back permanently to the New Braunfels area. 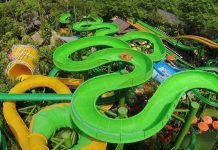 “That was the time that we decided we wanted to add a lot of slides and start building a water park attached to the resort, ” he says. Henry’s brother Jeff, who had sold his business in 1976 and gone travelling with a friend, saw the simple water slides that were built along the coast around Key West and was inspired. Driving a little further into Orlando he saw Wet’n’Wild, which had just opened. Two rivers, the Comal and the Guadalupe, run through New Braunfels. “New Braunfels already had this sort of history of people floating down the rivers in inner tubes. So. 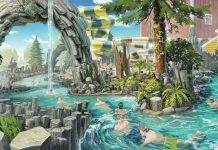 the idea of combining Wet’n’Wild and River Country into a controlled water park environment was just a natural extension of what already existed. The following year, a swimming lagoon, children’s play area, and the first tube chute were added. “A tube chute is nothing more than a synthetic river, if you will, that starts at a high elevation. We move water to the top of the hill, then it flows through this concrete trough, through a series of pools and drops, pools and weirs, and you float through this river system and end up in a pool somewhere at a lower elevation. “What was unique about it was that, unlike a fibre-glass flume, where you’ve got one person on the ride at a time, it was a shared experience: as you’re floating through the tube chute, your friend, your daughter, your child, is right next to you – you can go over the weirs together, you can talk, splash, have fun. And, it’s very high capacity, so people loved it – they didn’t spend time waiting in line. Year after year, further elements continued to be added: fibre glass slides, chutes, themed play areas. In 2015, Schlitterbahn was honoured at The Golden Ticket Awards for the 18th year in a row. 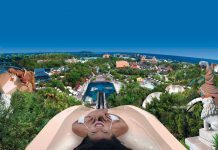 “Obviously we’re very honoured to be recognised as the best water park in the world – it’s voted on by peers, people that follow the industry, particular customer groups that attend waterparks like theme park coaster enthusiasts. 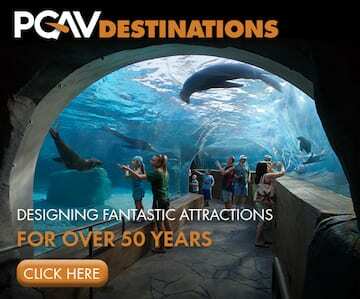 They travel around and know the industry, they know the parks, and I think that what they’ve recognised is the entertainment value that exists within Schlitterbahn parks, and they also, I think, appreciate the new technology that we’ve brought to the industry, beyond fibre glass slides. The variety of paths within the system ensures that riders get a different experience every time so they can ride it again and again. Much of Schlitterbahn’s ride work is done by Jeff, Gary’s brother. He has an unerring ability to select the right innovation at the right time. “He designed and oversaw the construction of the first waterpark in China, Shenzhen. 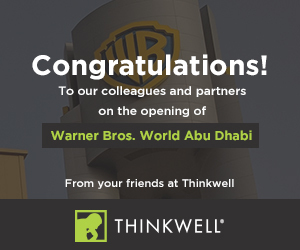 In addition, he also oversaw the design and construction of the first waterpark in Dubai. He studied the industry, and developed products. Furthermore, he worked with other ride designers, including Tom Lochtefelds, who had the ideas for the Flow Rider. Under the umbrella of the Henry & Sons Construction Company, Jeff continues to bring innovation to waterparks, developing and designing resorts integrating the Schlitterbahn patented attractions, protocols and designs. He has garnered universal acclaim for projects such as Kerzner International’s Atlantis Paradise Island in the Bahamas and The Palm in Dubai. It’s not all plain-sailing – there are, of course, challenges inherent in a seasonal business. “We have to be very disciplined because we have cash flow for four months out of the year. The other eight months we typically do not, ” says Henry. Recruiting and training seasonal staff is another challenge. Opening each new facility involves going into other markets: South Padre in South Texas is very different from New Braunfels; Galveston and Kansas City are different again. “And then we went back and built a hotel with an indoor waterpark in South Padre. 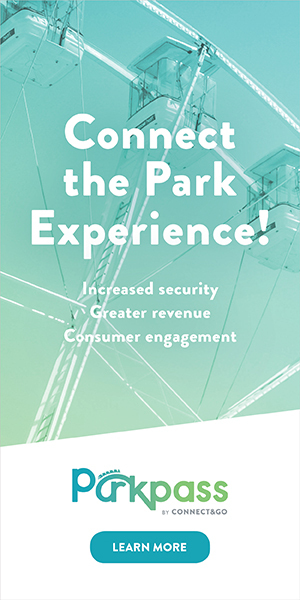 That’s very different from opening and operating an outdoor park. “Now we’re getting ready to open for the season in Corpus Christi. There is there a hotel with banquet facilities attached to the waterpark. The new water coaster is scheduled to open at the Galveston property in May. Designed and created by Whitewater, it is built on a compact footprint, so the ride doubles back over itself multiple times. “It’s eighty-two feet tall, over a thousand feet long, and features four drops and lifts, ” says Henry. One innovation is the incorporation of transparent sections. This means that riders will, at 40, 50 or 60 feet, suddenly be able to see the downhill river system of a different ride below them. “You’ll be riding the ride and you’ll be inside of coloured fibre glass where you can’t see out. Then, all of a sudden, you’ll hit this turn section and you’ll be floating through glass that you can see through. So you’ll be able to look up and see the sky. You’ll be able to look off to the side and see the landscape of the island. You will also be able to look down and see people floating in the river below you. There hasn’t been one like this in the world. It’s going to catch some people by surprise when they ride it. “I think it’ll motivate them to go back so they can be prepared when they know that it’s coming. While the Schlitterbahn team have plans in the pipeline, the focus is on completing the Corpus Christi project. 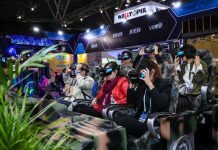 Continuing to explore the residential possibilities in unique and immersive ways will remain a focus. 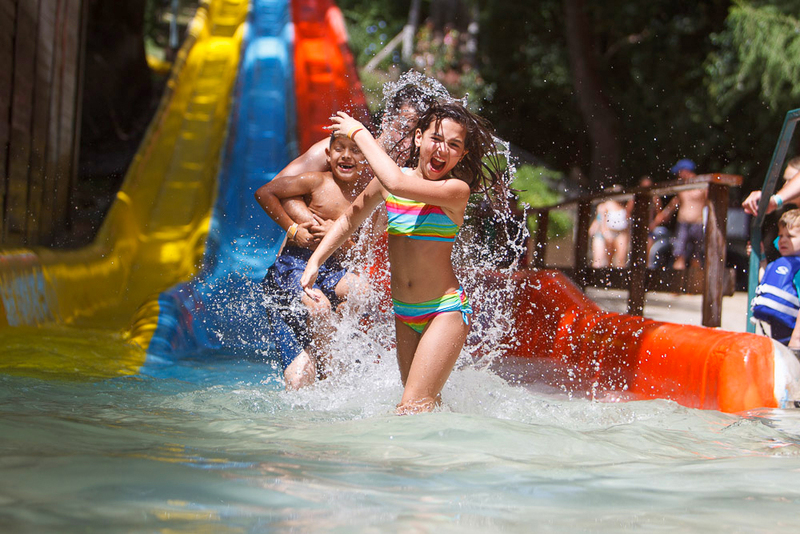 “Introducing a lodging element to the waterpark is something we have done, particularly in New Braunfels. It’s done with two different methods. One is cabins that are on the ground next to the rides. This means people can sit on the patio looking into the rides as people float by. “People want to be entertained, and they want value for their entertainment. When they go to a park, they don’t want to spend time standing in lines. They want to be able to be in the water; they want to be able to be playing. 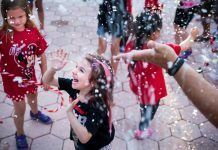 “I think it really comes back to the idea that parks have matured into this family friendly model. It’s not so much about the death-defying rides, the huge drops, the wave pools with the 8-foot waves. The parks have matured into the idea that you’ve got to have something where parents are comfortable taking their 6, 7, 12, 14-year-olds. It’s quality family time at a price that makes sense to the family. “I’m bullish in the industry. I’m very proud of the group of companies that we’ve built here. And just constantly in awe of people that I get to work with. It’s such a pleasure coming to work and seeing the professionalism.